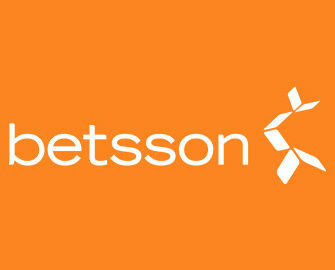 Betsson – The Daily Pick / Week 39! Enjoy another week full of daily Free Spins and Bonus offers! Had a great weekend or suffering from the dreaded Monday blues? 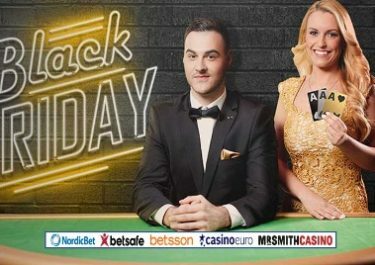 Either way, you can brighten up the start of the new week by logging into to your Betsson account and claim your “Daily Pick”, a daily casino offer for Free Spins, Raffles, Bonuses and Wager Rewards, available to loyal Betsson players from selected countries courtesy of their own Claw Machine. Be it 50 Free Spins, a share of a Free Spins prize pool or a wager bonus, it all is part of Betsson’s mission to give back to their players. Start this week by entering a €5,000 bonus prize draw when playing Flame Busters from Thunderkick. Monday, 25th September 2017: €5,000 Flaming Raffle – Wager minimum €50 on Flame Busters to be entered into the raffle and win one of 100 bonus prizes ranging from €25 – €500, credited by 18:00 CET on Tuesday. Wagering requirement is 25x bonus within 3 days. Tuesday, 26th September 2017: Hidden Cashback – Get a 100% cashback bonus on net losses when playing HIDDEN, up to €50. Cashback will be credited on Wednesday with a 5x WR. Wednesday, 27th September 2017: Tropical €2,000 Pool – Score the highest single coin win on Spina Colada to place in the TOP50 and win bonus prizes from €10 – €250, credited by 18:00 CET on Thursday with a 25x WR within five days. Thursday, 28th September 2017: 5,000 Singing Free Spins – Wager minimum €10 on Esqueleto Explosivo to get an equal share of the prize pool. Free Spins will be credited by 18:00 CET on Friday. Wagering requirement is 25x Free Spin winnings within three days. Friday, 29th September 2017: Sweet Free Spins – Make a single deposit of minimum €25 to instantly receive 50 Free Spins on Fairytale Legends: Hansel and Gretel™. Spins must be played before midnight. Wagering requirement is 25x Free Spin winnings within one day. Saturday, 30thSeptember 2017: Aquatic Free Spins – Wager minimum €50 on any slot to instantly receive 60 Free Spins on Mermaid’s Diamond. Spins must be played before midnight. Wagering requirement is 25x Free Spin winnings within one day. Sunday, 1st October 2017: Fairy’s Bonus – Wager minimum €20 on Fairygate to instantly receive a €10 bonus. WR is 25x bonus within 3 days.